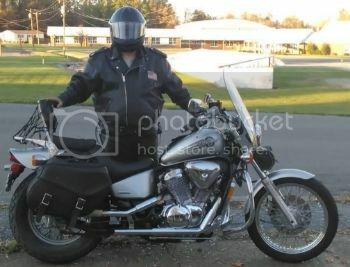 Honda Shadow Forums : Shadow Motorcycle Forum > Local Discussion > Canadian Riders > TD/ Primmum insurance gounging us WTF! TD/ Primmum insurance gounging us WTF! Primmum is now TD and they have hiked everyone 20 to 40% and its all over social media. In Ontario anyway. New riders are getting a break but they are already over charged by hundreds. So if your with them hold on to your helmet your in for a big surprise. I called five insurance companies and Viva was my best price. It was Murielle from Mantha in Ottawa that hooked me up with viva BTw. Be sure to call a few to get some quotes as it seems they have a different price for every individual . I switched to Allstate last year and it saved me quite a bit. I was with TD before that. Guess I made a change at a good time! I feel for my fellow riders in Canada. What is the most expensive part in your policies? Is it the medical coverage? Just curious. Well they blamed it on claims and a decline in motorcyclist. Seems a billion dollars in profit is no longer enough. Up in our area, Ontario, the motorcycle insurance game was solely monopolized by 1 provider, jevco. It didn't matter who you were with, it was always jevco and the underwriter. Until last year, Desjardin insurance broke into the motorcycle insurance game. I figure "the hell, I'll call em" . Allstate for my bike $750, Desjardin $320... I laughed and made the rep tell me all the details again, she clearly made a mistake. Nope. That was last year, this year its $300. I didn't know why I was so high, I'm 35, no accidents, no tickets..